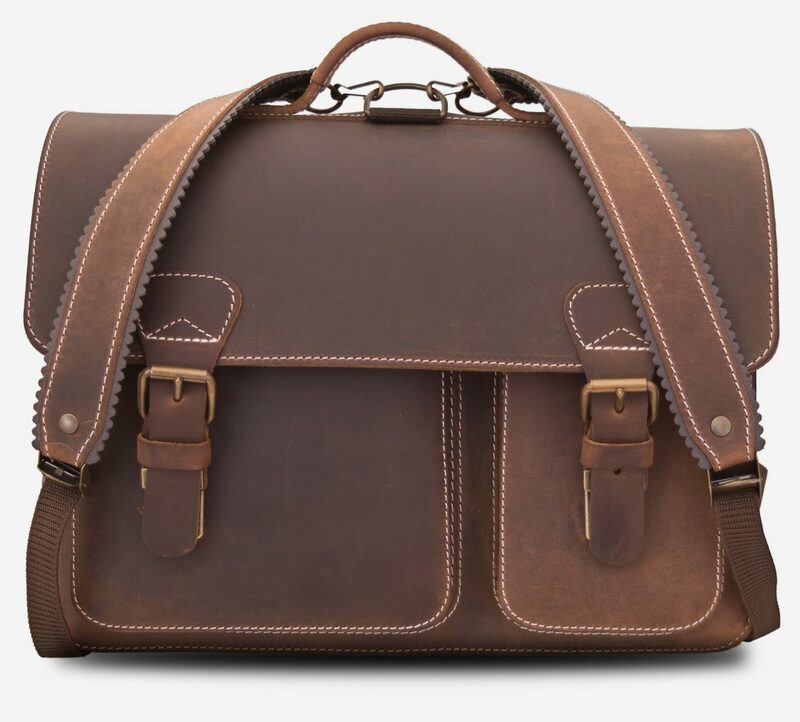 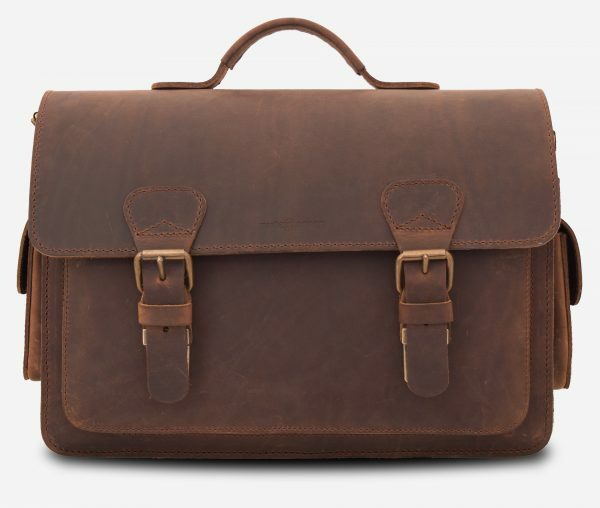 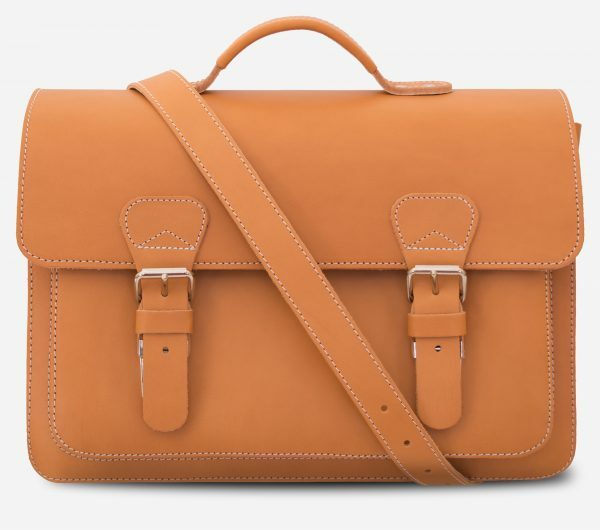 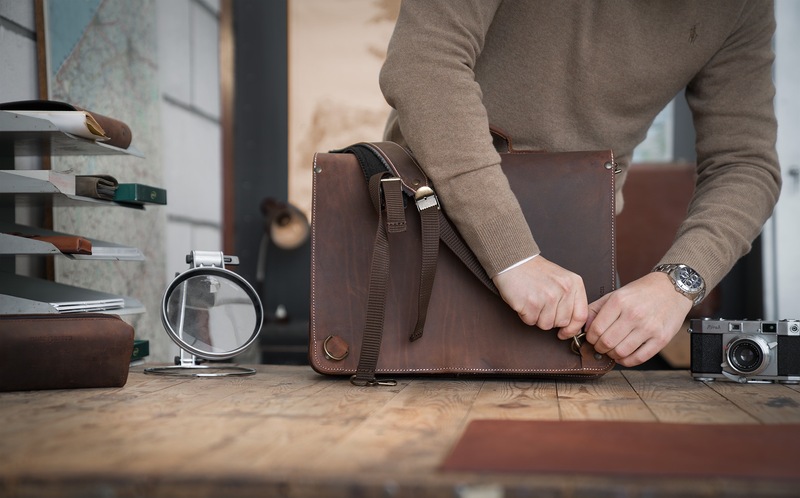 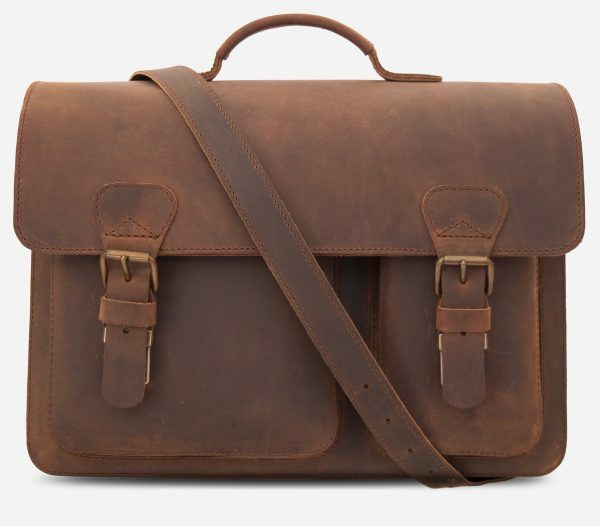 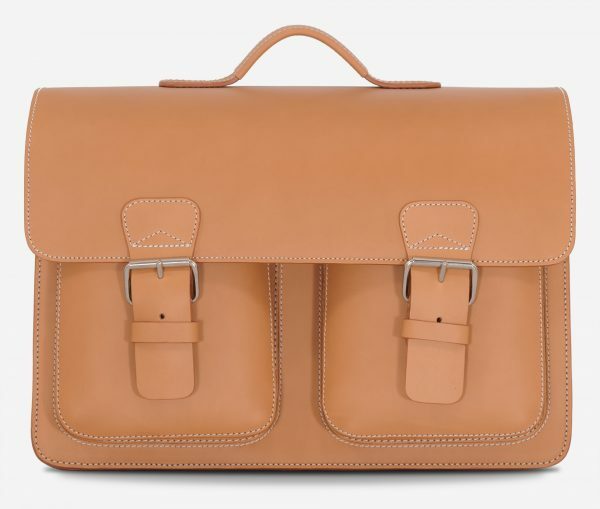 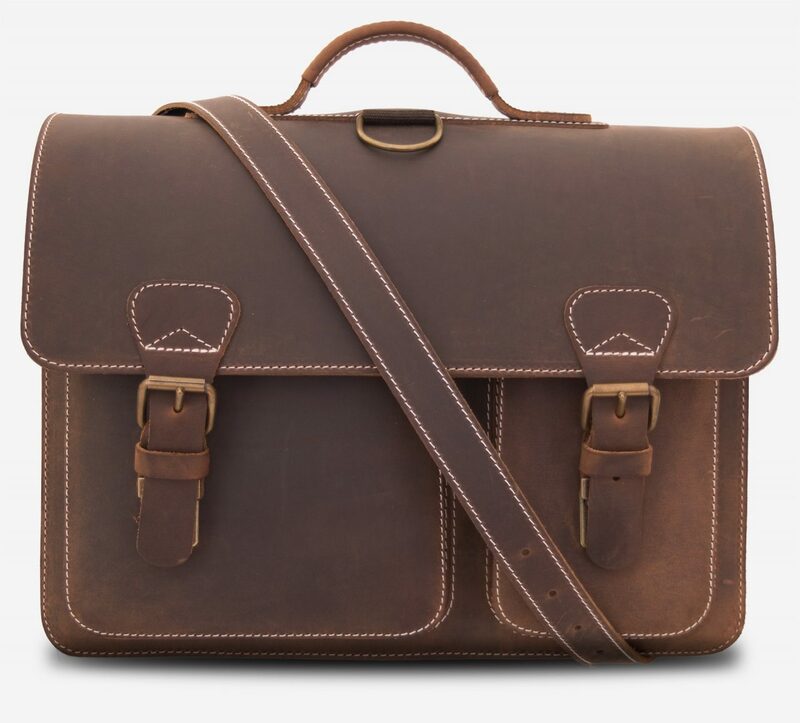 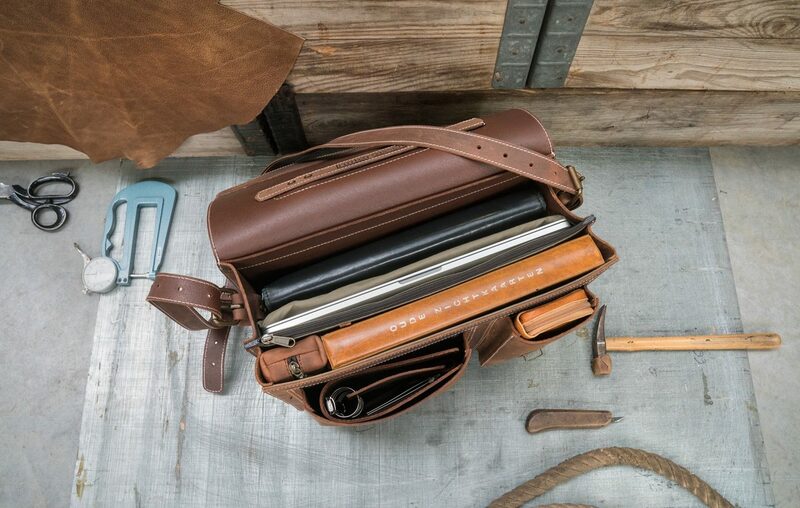 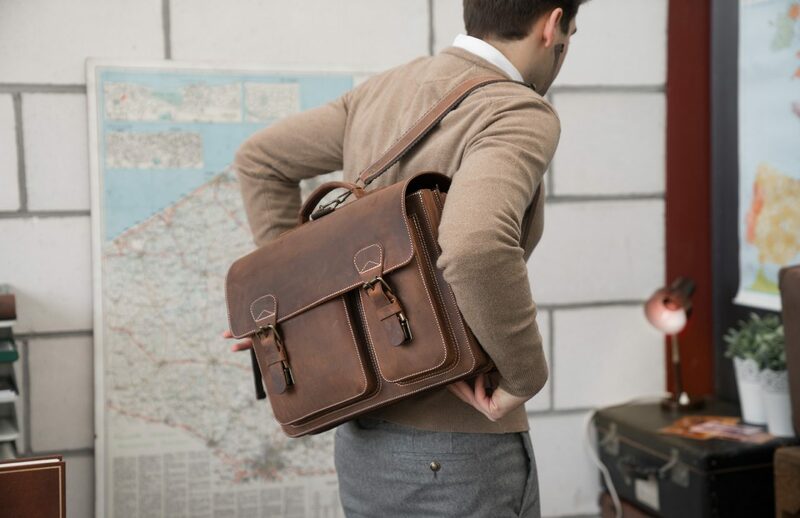 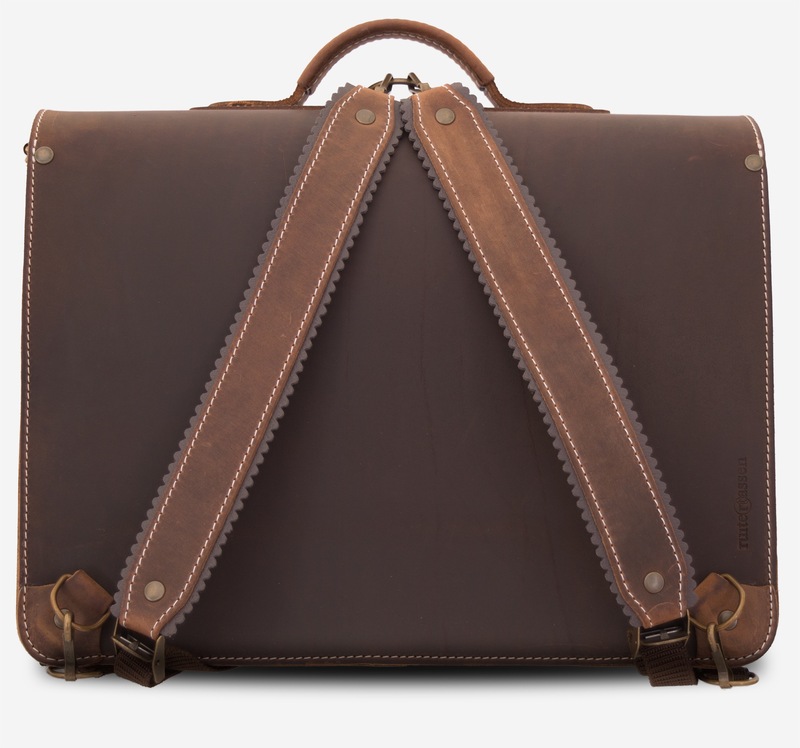 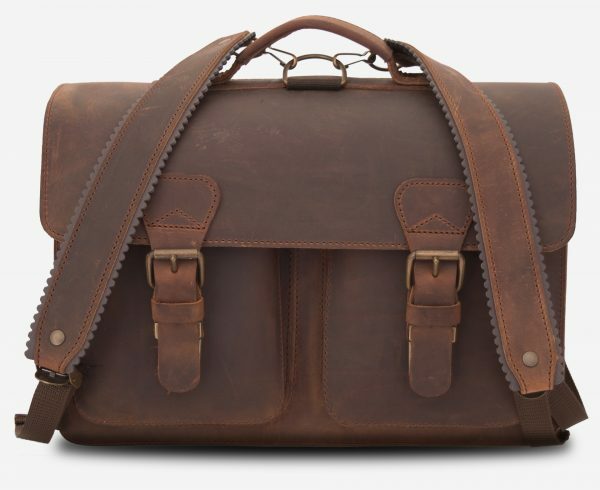 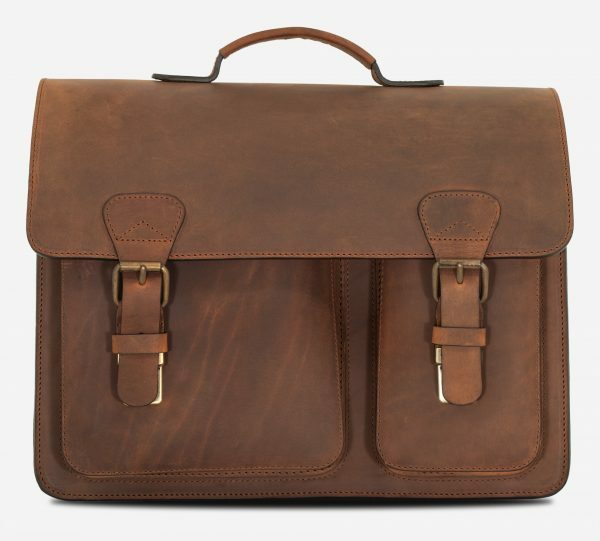 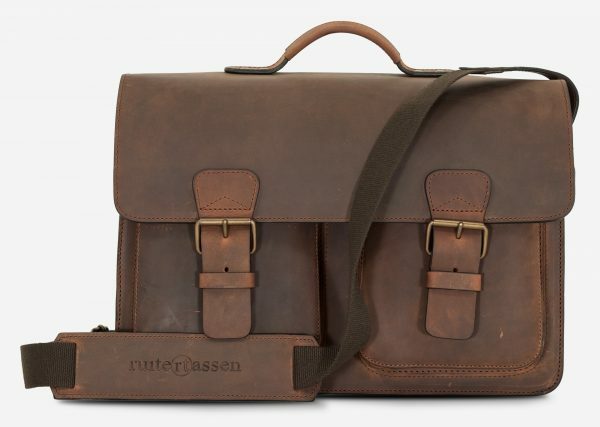 Handcrafted using techniques pioneered by Jacob de Ruiter, this satchel is cut from robust vegetable-tanned oiled leather. 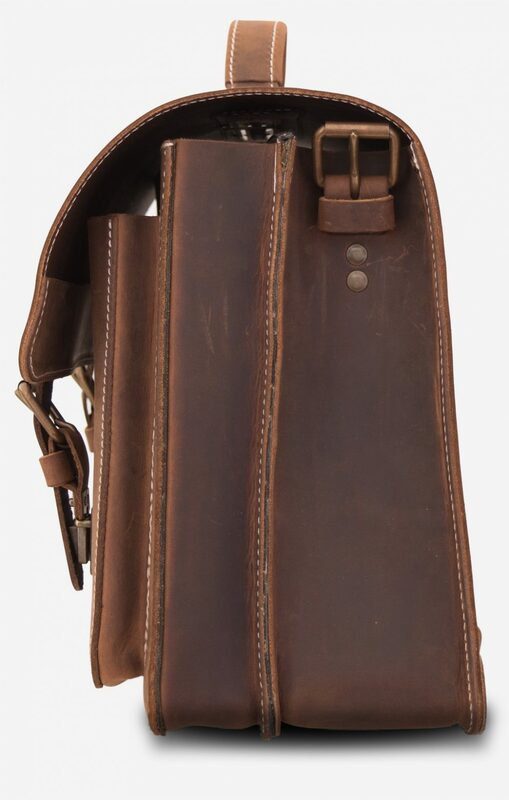 We use heavy gauge nylon thread for durability and heavy-duty push locks hidden behind the adjustable buckles. 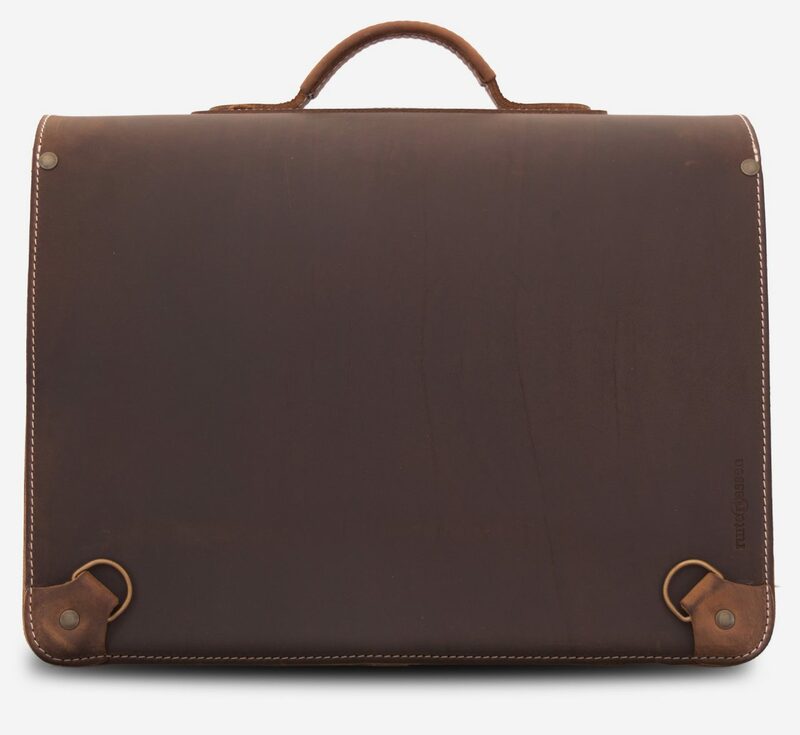 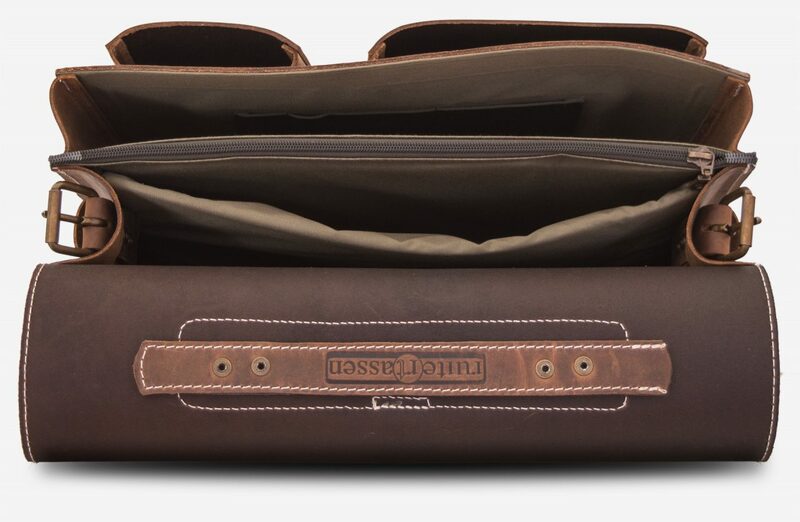 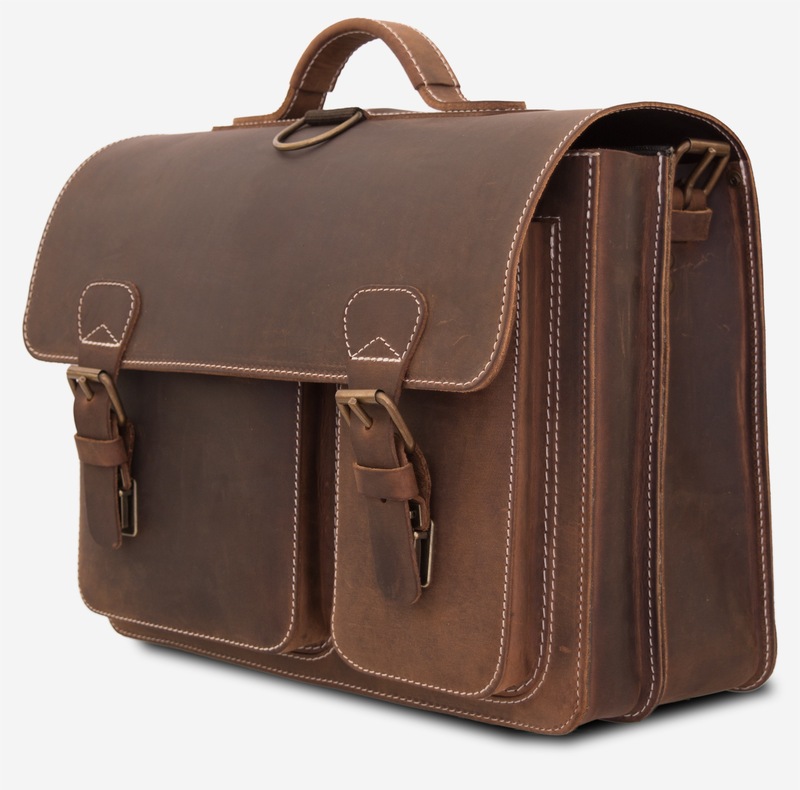 It features one padded pocket for a 15-inch laptop and two capacious compartments.